Functional fitness training can be a transformative experience, especially for someone who goes from being overweight and never exercising, to someone who is fit, active, stronger and healthier than ever before. It’s the high intensity and versatility of the training regime that makes it so accessible to people, but it is also those qualities which can potentially increase risk of injury. The lumbar region of the spine, or lower back, is so often the location of back pain because it is connected to so much of the body. Problematic mechanics with the feet, knees, and hips can intensify low back strain. So too can poor posture and bad habits like “text neck” (craning your neck and head past your shoulders when looking down at your smartphone). When it comes to Olympic lifting, however, it’s the potential hyperextension of the lumbar spine region when deadlifting or squatting that pulls and strains low back muscles. Combined with a weak core, tight hip flexors, and a lack of dynamic warm-up prior to lifting and you have a recipe for muscle strain, inflammation, and pain. The more your lower back muscles have to compensate to reinforce your spine and keep the pelvis aligned in neutral position when you are lifting, the more they will be pulled and stressed to painful limits. If you want to avoid low back pain, work at perfecting your form with a qualified coach. Maintaining a neutral frame where the upper back and pelvis are appropriately aligned when you lift and release weights will fortify pain-free back health. So too will strengthening core and glute muscle groups to properly support the lower back. 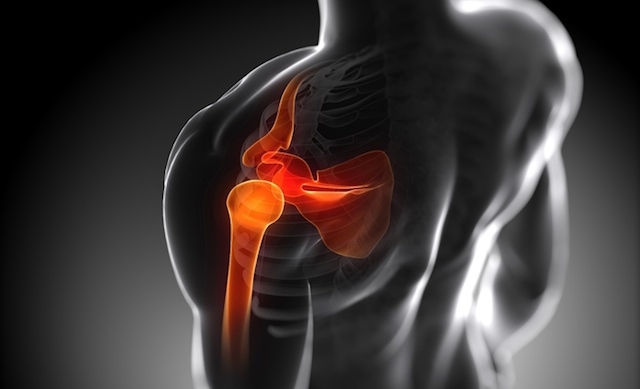 The shoulder joint is one of the most incredible pieces of biological machinery on your body. Normally, the upper arm bone (humerus) fits snugly into the open cavity where the shoulder blade (scapula) and collarbone (clavicle) meet. Tendons and muscles form the rotator cuff and surrounding connective tissues which help hold everything in place. This allows for the vast range of movement the shoulder has. Shoulder injuries are common among laborers and athletes who activate their shoulder in the same repeated motion for prolonged periods of time, like baseball pitchers. With functional fitness athletes, however, shoulder injuries can come about from a combination of high intensity intervals which involve shoulder and upper body engagement including pull-ups, push-ups, and overhead weightlifting. Impingement, or when one tendon like that of the rotator cuff (or a bursa sac in the joint) is pinched by the top of the shoulder blade (acromion), can result in pain and limited range of motion. This is especially felt when attempting to lift your arm up and away from your body. Weak pectoral muscles combined with lifting too much weight and engaging in progressively more and more shoulder activity without properly resting and stretching can bring upon shoulder injuries. Maintaining a strong core is very important for functional fitness athletes. Not only does it powers your movements, but it also helps you progressively build up your endurance. No matter how dense your abdominal muscles get, sometimes a genetic predisposition or other risk factor like smoking, chronic cough, or issues with constipation, can actually weaken the muscular structure of critical abdominal walls. Combine that with one heavy lift and you can end up with strain to abdominal muscles or even a hernia. The most common type of hernia, an inguinal hernia, can happen to men or women. It occurs when a portion of the intestines pops through a tear or weakened abdominal wall and pushes up as lump under your skin. You might see one develop in your lower abdomen, upper thigh, or by your groin. While visibly prominent, hernias may also be accompanied by a burning pain, tenderness, weakness, or a heavy dragging feeling in the groin. Hernias aren’t necessarily dangerous, but they should be evaluated by a medical professional and can require surgery. A hernia or other abdominal strain doesn’t need to be a death sentence to your training routine, however, you may have to alter some of your exercises and rest following treatment. Aids like hernia and weightlifting belts can help – for more info on the best hernia belts, check here. Experts recommend limiting overextension of the midline (i.e. pull-ups, snatches) to prevent complications like strangulating the hernia and cutting off blood supply to the tissue. Like with any high-impact sport, risk for injury exists with functional fitness training simply because you are taking your body past the limits of what it is used to doing. Be smart about warm-ups, form, and reps, and you can potentially stay injury-free.